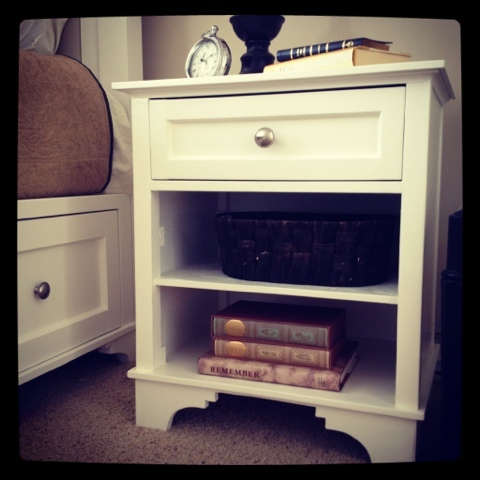 My engineer hubby just finished making two of these beautiful nightstands. Want one? Instructions to come!!! He said it wasn't too hard to make. My engineer hubby is a busy guy but I will push him to have it posted by the end of the month. Wow! Excellent work! It looks like something you would buy at Pottery Barn or Crate & Barrel for a ton of money! OMG! What a great idea.